Gold’s Gym StrideTrainer 595 elliptical offers a number of innovative features that are designed to make sure you get fit fast. 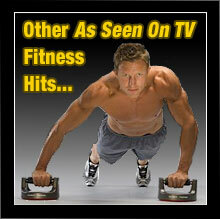 It’s a full featured yet economically priced elliptical machine. Isolate your glutes, quads and calves for faster results with the Gold’s Gym StrideTrainer 595. With an Intensity Ramp, you can quickly change your incline to add intensity to your workout and change up your routine. This elliptical is also equipped with 14 built-in workouts. These workouts are designed to help you burn maximum calories, add intensity to your fitness program and target your trouble spots. The StrideTrainer 595 also features a CoolAire Workout Fan, 12 digital resistance levels and an 18″ stride length. 12 Digital Resistance Levels: To burn more calories, increase intensity or increase muscle tone, you can adjust the elliptical’s resistance. Oversized, Slip-Resistant Pedals: These large pedals allow you a number of different foot positions and provide great stability as you exercise. Intensity Ramp: Get better results with the Intensity Ramp. It allows you to adjust the incline of your elliptical stride, forcing you to target specific muscle groups. 6 Target Toning Workouts: Quickly target specific muscle groups with these built-in Target Toning Workouts. Each workout adjusts the resistance of the elliptical to match your workout goal. 4 Weight-Loss Workouts: These workouts are designed to help you burn maximum calories. 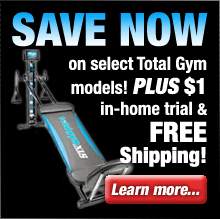 Select your program and the elliptical will automatically adjust your resistance so you can achieve optimal results. 4 Performance Workouts: Work out with confidence, thanks to these built-in Performance Workouts, each designed by a Certified Personal Trainer to help you get fantastic results. LCD Window: Track your speed, time, distance, calories burned and resistance on this easy-to-read display. CoolAire Workout Fan: Stay cool and fresh during your workout with this innovative workout fan. You’ll stay comfortable, enabling you to work out longer so you can reach your goals faster. The sophisticated fan is built right into the console, just like the AC in your car, allowing you to quickly adjust the settings. Warranty: 7-Year Frame Warranty and 90 Days Parts & Labor. The Gold’s Gym StrideTrainer 595 elliptical is a well equipped and feature rich exercise solution that will enable you to get a top-quality and highly effective workout. The StrideTrainer 595 elliptical from Gold’s Gym will have you getting fit and shedding those extra pounds in no time flat. Gold’s Gym fitness equipment is an excellent choice if you’re looking for a full-featured yet affordable home exercise solution that won’t break the bank. If you’re serious about getting into better shape and staying fit Gold’s Gym offers the affordable solution you’ve been looking for. What are you waiting for? 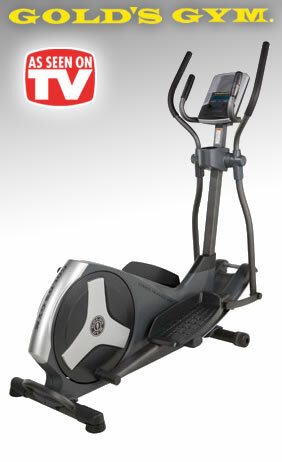 Order a Gold’s Gym StrideTrainer 595 elliptical and get ready to watch those extra pounds disappear!